May | 2012 | I am Complicated. I live for the drama. M came home from Malaysia for a week-long vacation and surprised us one Tuesday night. So A, knowing about M’s little secret, gathered 6 of us (only 6 of us were free for dinner on that date) for a free dinner at Roboto San at the Crossroads Building in BGC. 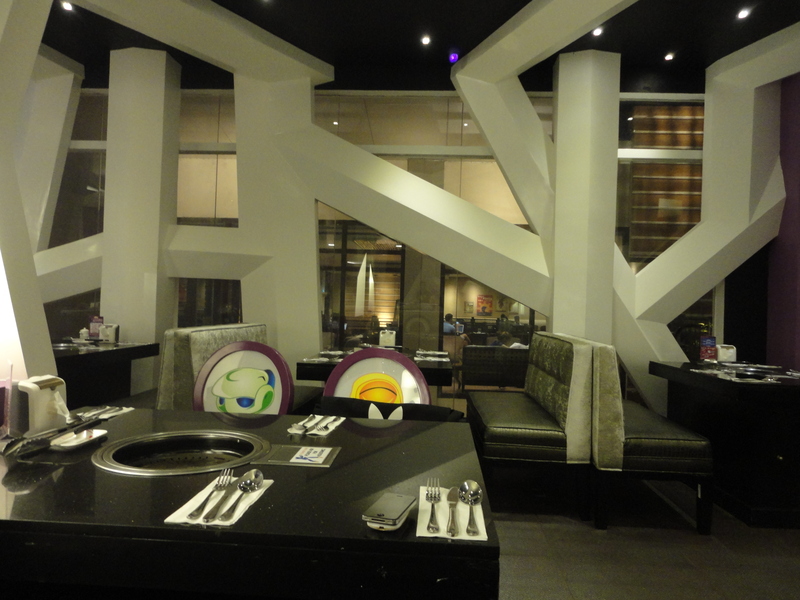 I was impressed with the interiors of the restaurant. It was funky, fun, and eye-catching. 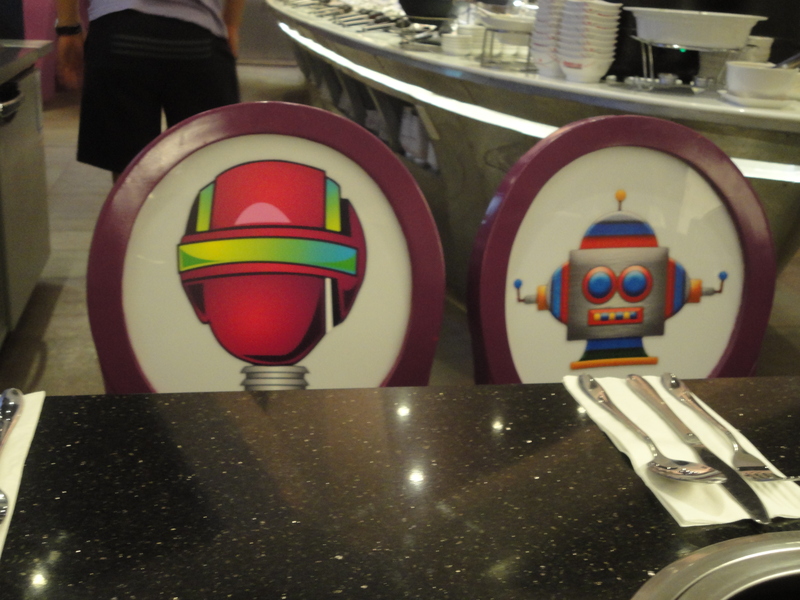 I epecially liked the pictures of robots on the backrest of the chairs. 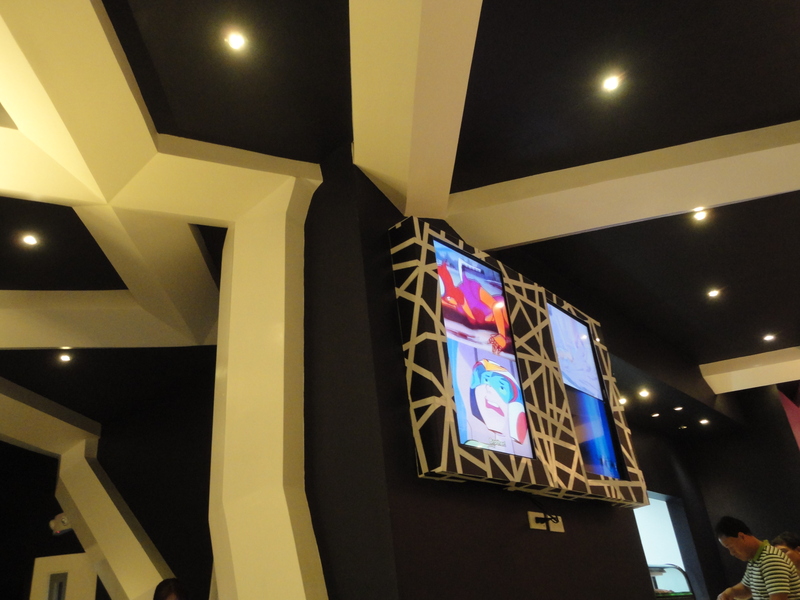 They also had this television where they were playing Voltes V episodes. I was immediately transported back to my childhood. I loved Voltes V back in those days. 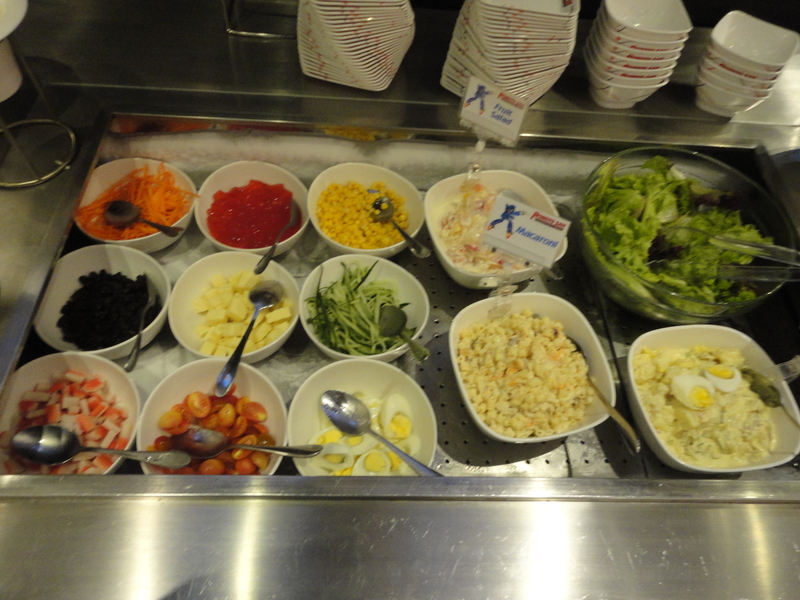 For starters, here’s the salad bar, where they have ready-made Potato Salad, Macaroni Salad, Fruit Salad, and other salad ingredients like cucumber, tomatoes, kani, bacon bits, egg, lettuce leaves, and others, including different dressings. I only tried the Potato Salad and it was delicious. I also added some bacon bits for a little salty kick. The bacon bits were no longer crunchy though so they were a little hard to chew. But then again, they still taste great. 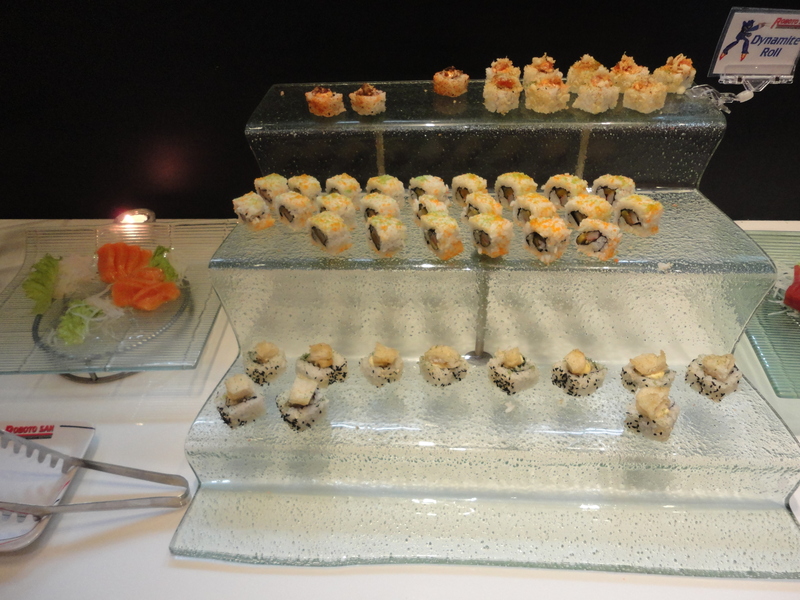 Beside the salad bar is the Japanese area where they have Maki, Sashimi, and Sushi of all different sorts. They also had these small dishes that contained small servings of I have no idea what since I only tried one which was the Kilawin. Haha. 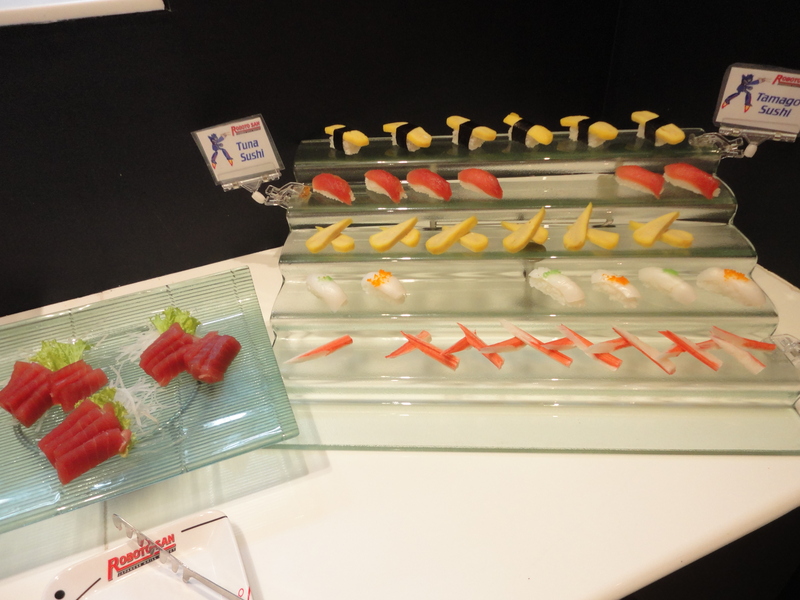 I also loaded up on the Salmon Sashimi, which I absolutely love. 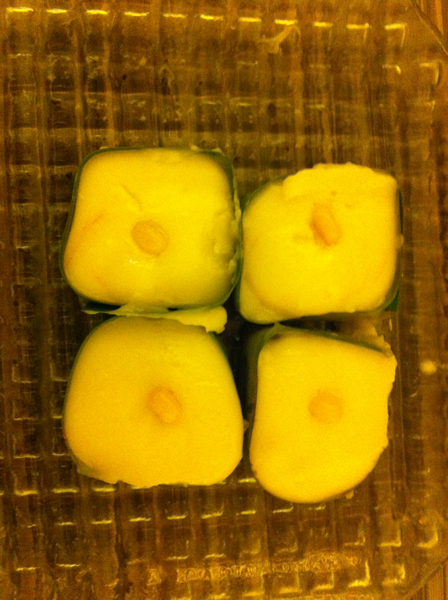 Their wasabi was a little let down though. I already got a lot but it still lacked the burning nose effect. I like it when wasabi does that to me. Weird, but true. Their grilling section had limited choices. 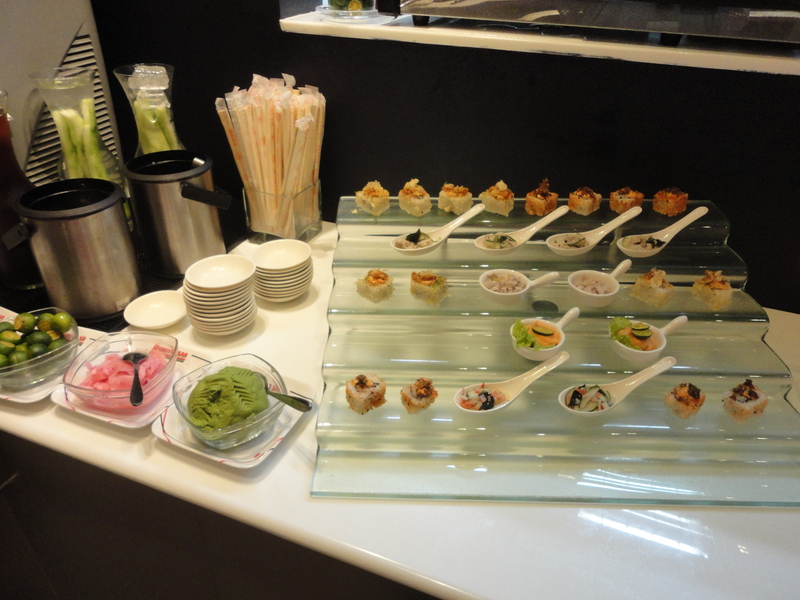 But almost everything was tasty. 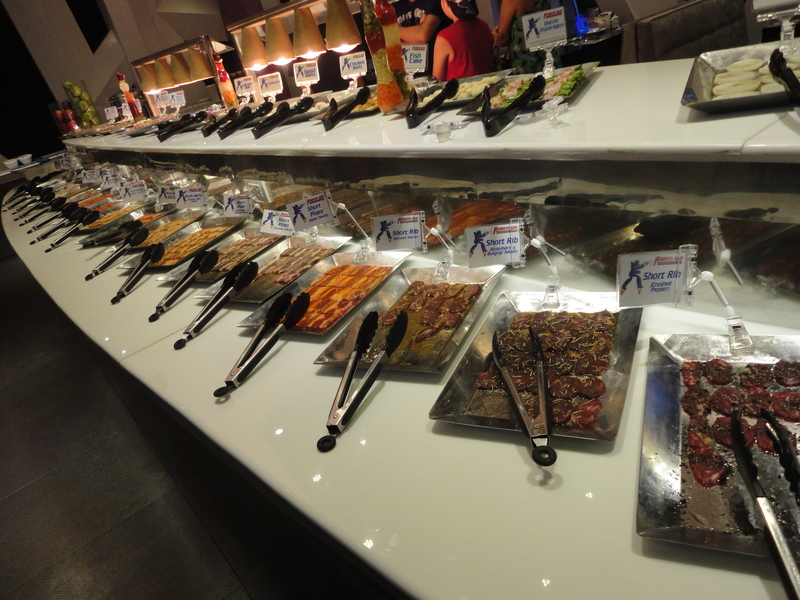 They have the usual items, shrimps, salmon, beef, chicken, etc. 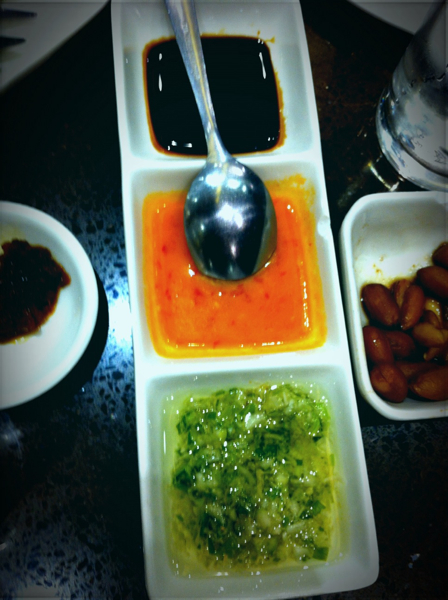 which have different marinades like Korean, Rosemary and more. They also have these bacon wrapped quail eggs, which we loved. Their grill is not completely smokeless though. There were moments when the smoke would billow out. 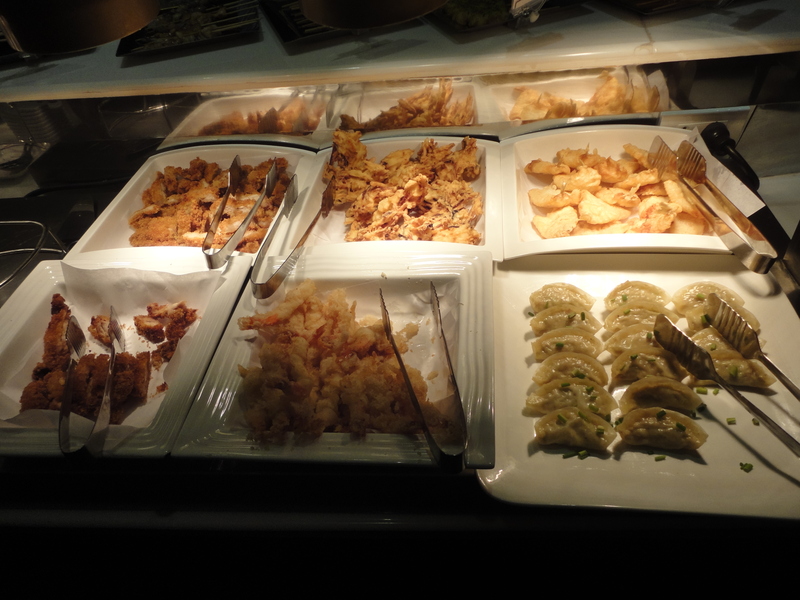 They also have ready to eat food fare like Pork Tonkatsu, Shrimp Tempura, Breaded Fish Fillet, Beef and Mushroom, Vegetables, Gyoza, and others. The Shrimp Tempura was disappointing. They were overcooked, and were no longer crispy. The Gyoza were good enough. 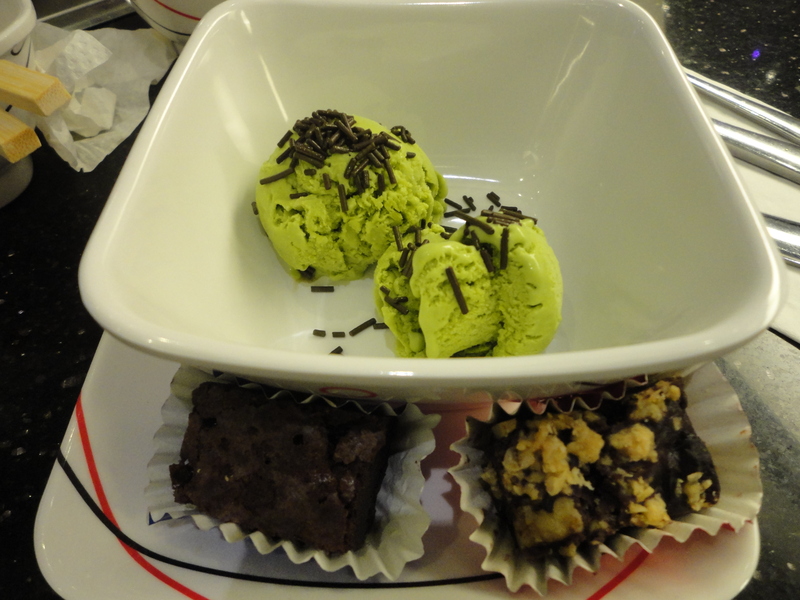 I din’t get to taste the others. But according to A, the Tonkatsu were so-so. The Beef with Mushroom was delicious. The beef was tender enough too. The sauce for the Breaded Fish Fillet was the bomb. It had this garlic-y taste that was just right. These containers had Yakimeshi Rice, Plain Rice, and other viands I no longer got to see. 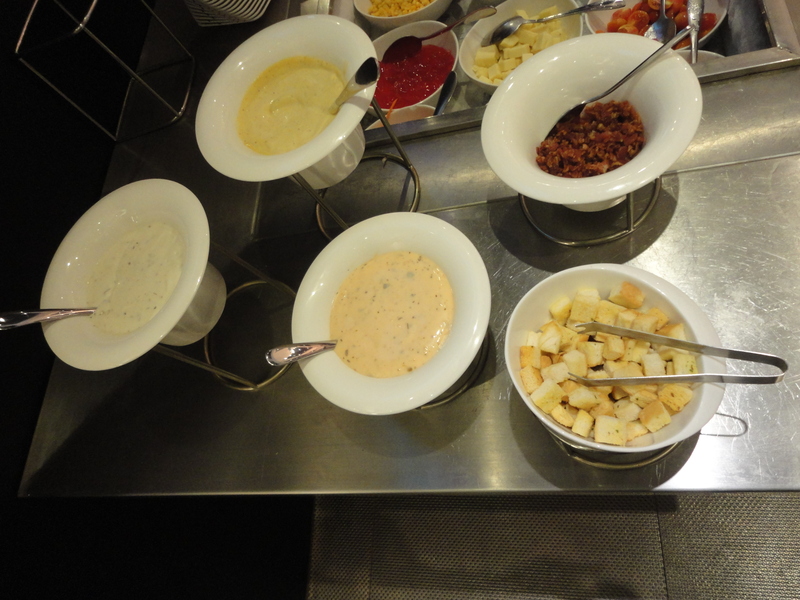 On the far left were pasta sauces, red and white both. I didn’t try the red. The carbonara was okay. I still prefer my recipe though. Haha. They also had Miso Soup, which was too salty. 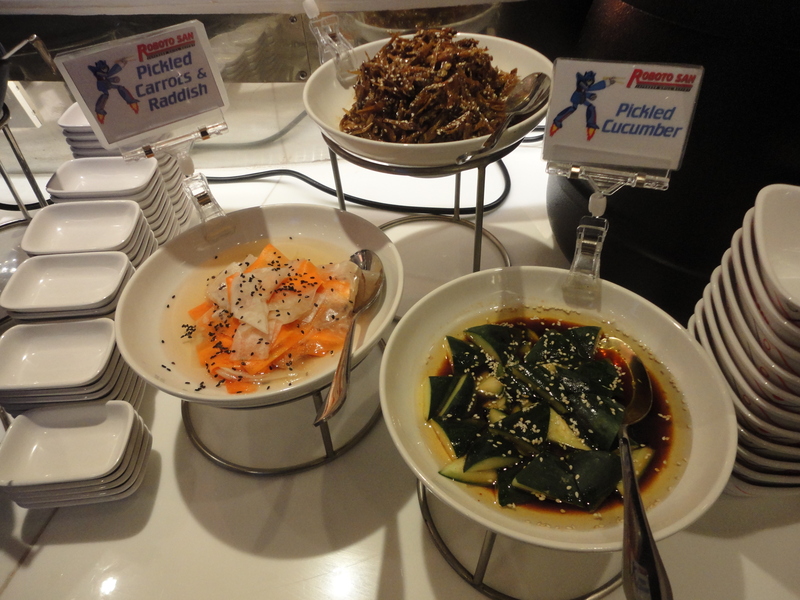 And some pickled vegetables that I didn’t try. 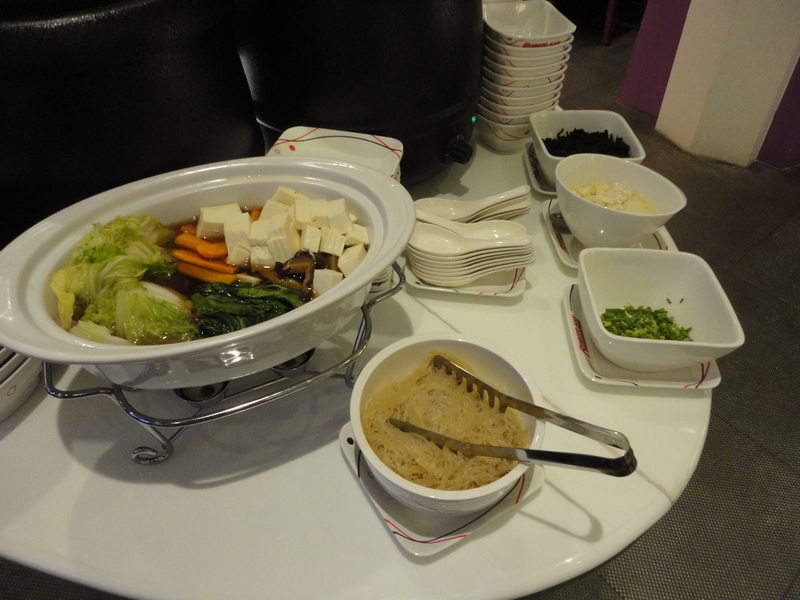 They also had Sukiyaki, which I also didn’t get to taste. 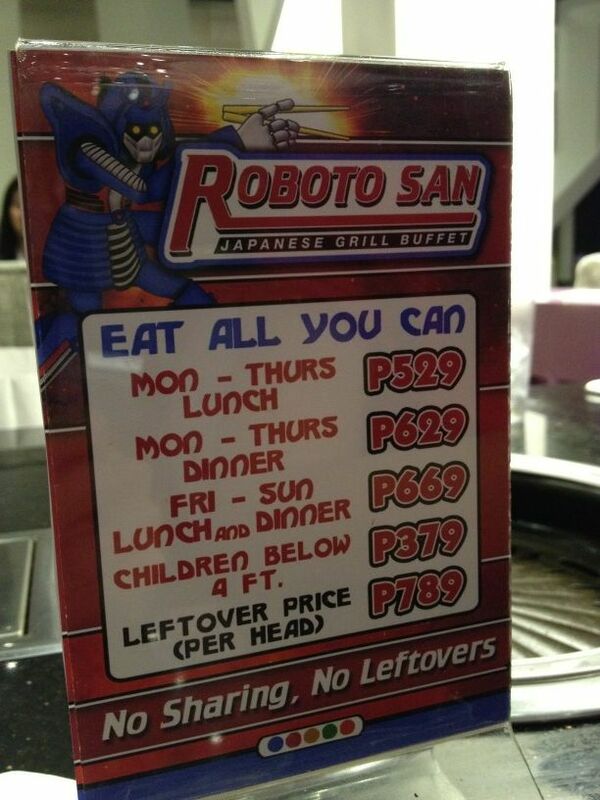 All in all, Roboto San had hits and misses, like most buffet restaurants out there. 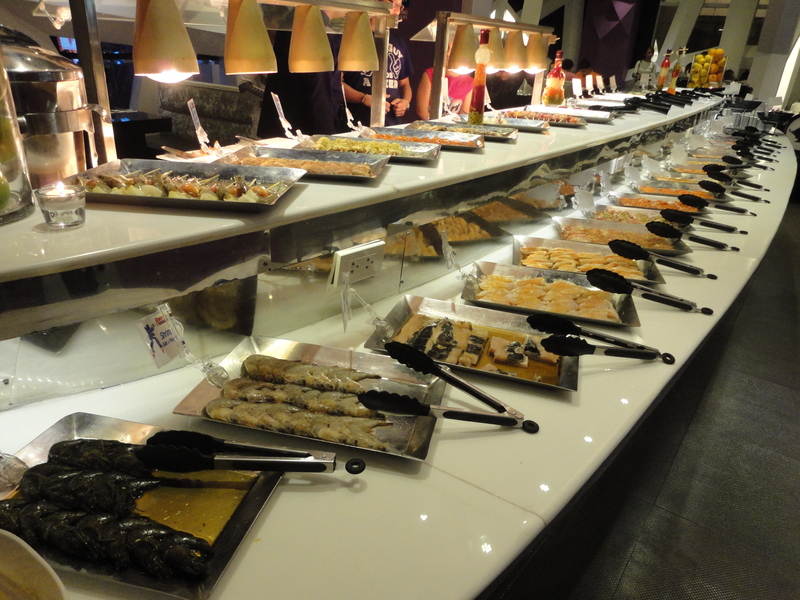 Its choices are limited too, unlike Yakimix or Vikings and Buffet 101. But still, we enjoyed the food. But mostly the company. I love my friends. Haha! 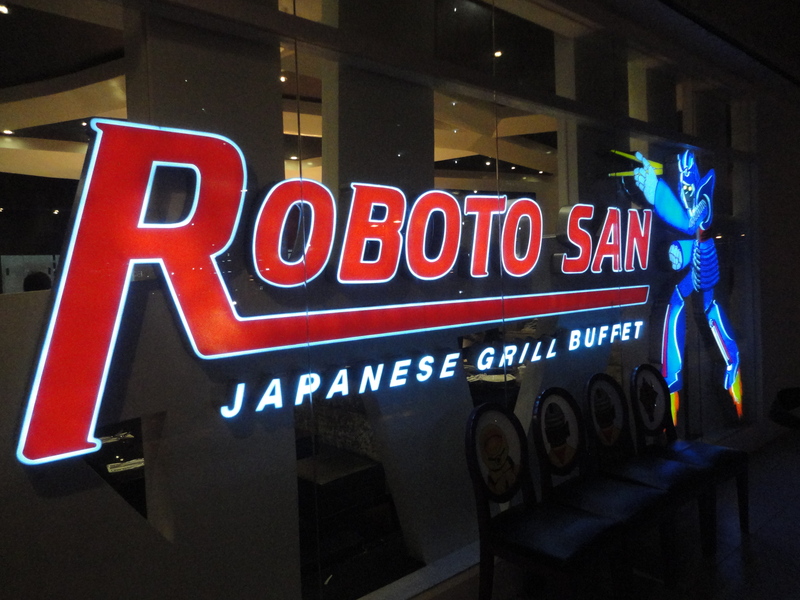 Another thing I can commend is that they don’t use generic plates, bowls, and saucers, they have the name of the Roboto San printed on them. The servers are dressed like astronauts, minus the head gear. They are attentive too. They will refill your water even without you asking. They also assist you in the buffet table. And they have ushers waiting on the ground floor, on the street, willing to assist you to their location in the second floor. So you feel like a VIP. Haha. But they got our headcount mixed up. They insisted there was 8 of us in the group when in fact we were only 7. I’m not sure who to blame for that. Other than that, everything went smoothly. Will I go back? I still think so. By the way, here’s the price list for Weekday Lunch and Dinner, and also the Weekend rates and for children too. I asked my friend to take a picture of it. 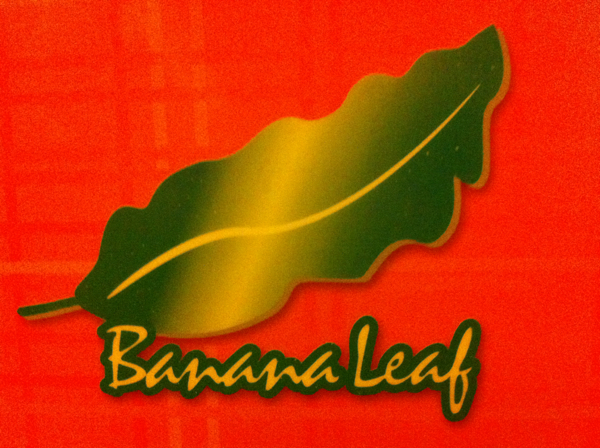 For our usual after-grocery Sunday night dinner, we went to Banana Leaf. A suggested it, since he said it’s one of his favorites. He said the food’s really good so he keeps coming back. I was excited since it will be my first time. I then learned that it being called Banana Leaf, you literally eat on a banana leaf. It takes the place of ceramic plates. I wonder how they make the leaves sturdy. From experience, these leaves easily rip. Good thing that didn’t happen last night, though. 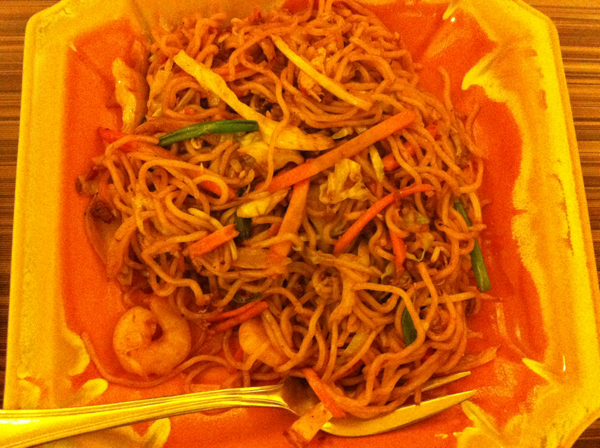 We ordered Mee Goreng, a Malay fried noodle dish. I really liked this. A thought it was too salty though. But I guess that’s why I liked it in the first place. For our rice, I wanted to get just 2 cups of plain rice. 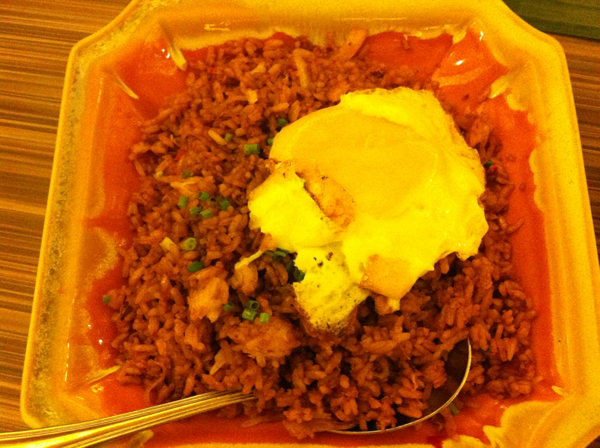 But A wanted the Nasi Goreng and I let him order it. It came with a sunny side up fried egg on top. We wanted to order Malaysian Noble Leaves with Garlic but we were informed that they already ran out. 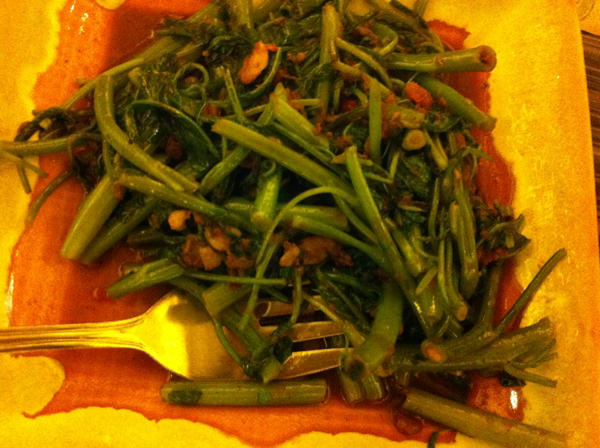 So we settled for the Stir Fried Chinese Kangkong. 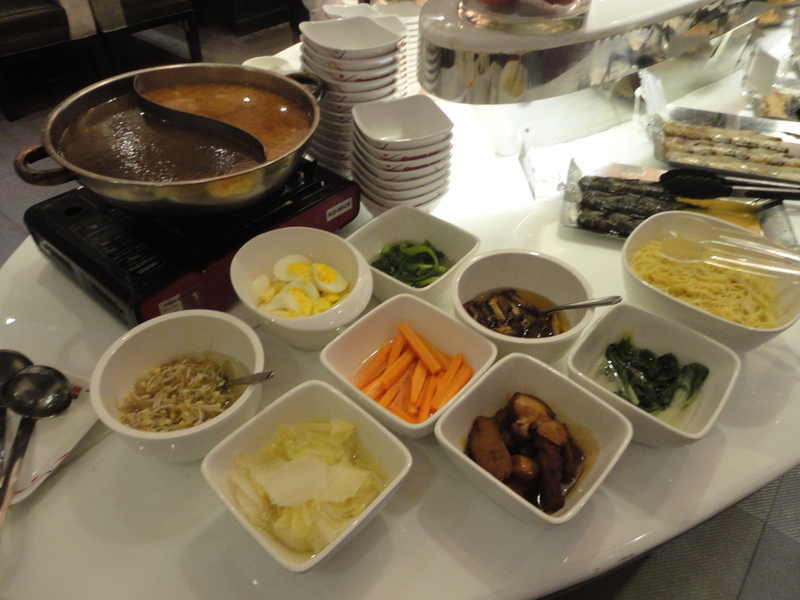 It was mixed with shrimp paste but it was not too salty. We both really liked it. 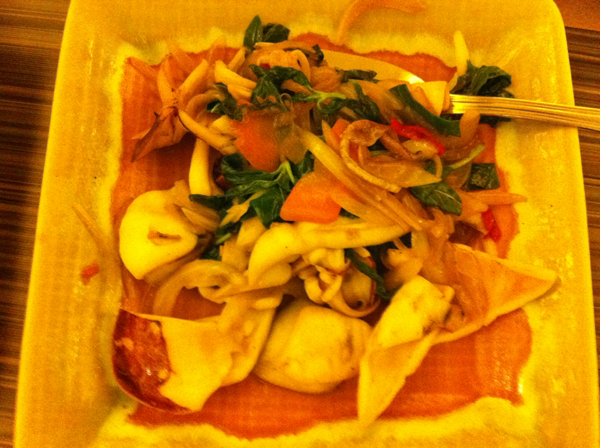 For our other viand, I suggested we get the Wok Fried Squid With Basil and Chili. We rarely get to eat seafood so I wanted us to not eat meat this time. I was a little disappointed with this. The squid was cooked right but I was looking for the hot and spicy taste since it has chili. Sadly, not even a hint of it can be found. I even tried eating the chili but still, nothing. A wanted to get dessert to counter the saltiness since what he ate last was the Mee Goreng. I pointed to a picture and asked a waiter what it was. He gave a name then we said we’d order that. 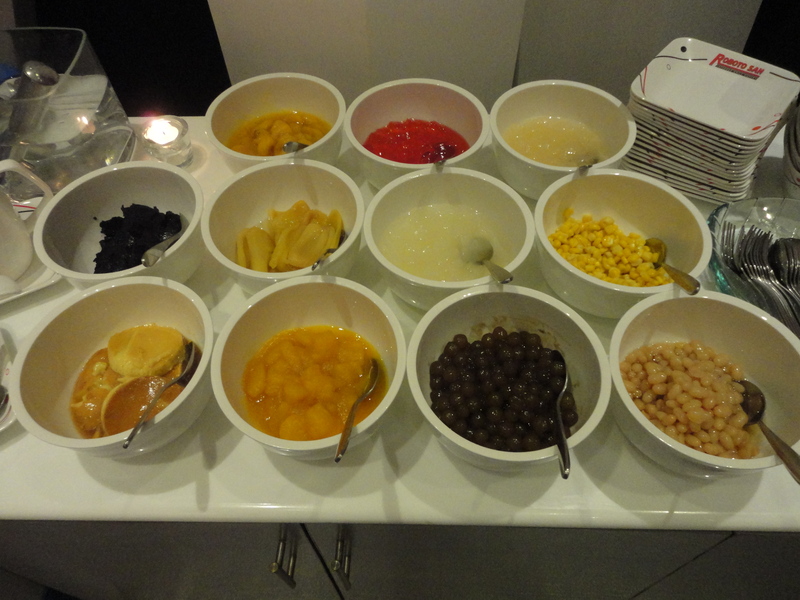 But then he came back to inform us that he gave us wrong information and in the process informed us that their bestseller is the Sago Pudding, seeing that we were a little undecided. So since it’s the bestseller, we ordered the Sago Pudding instead. When it was taken to our table, lo and behold, it was the picture on the menu I was pointing to. Haha. We weren’t disappointed. It really was delicious. It was like Maja Blanca, with small sago and some sweet potato bits mixed into it. We would have ordered more if we weren’t full already. After reading about it on my Twitter timeline, I immediately searched Google for some information regarding this restaurant and got consistent reviews, that their Hainanese Chicken is really good and that it’s the best in Manila. Being a fan of the said dish, I immediately asked A if we could eat there sometime. Since he was also intrigued, we had lunch at their branch at Greenbelt 3 this Sunday, after hearing mass at the Greenbelt chapel. 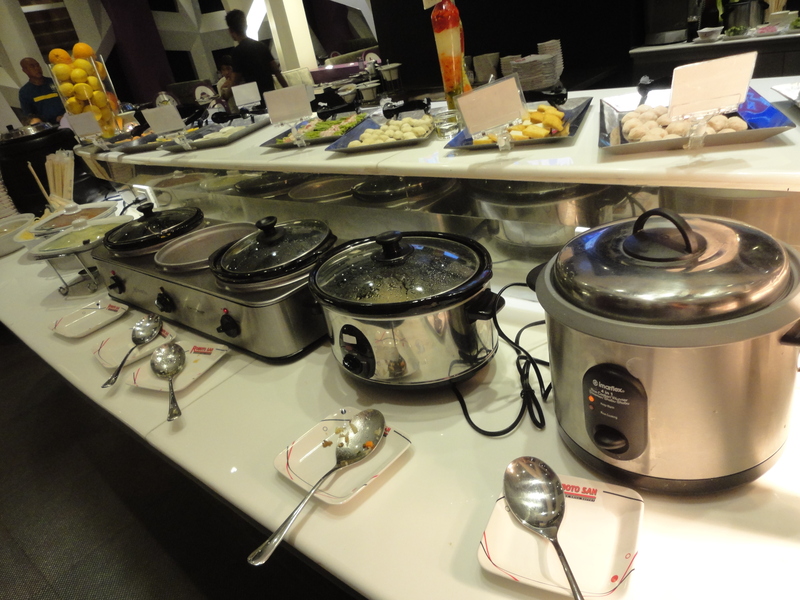 It’s located on the 2nd floor, along the row of Recipes, and Banana Leaf. The restaurant was almost full when we got there, considering that it was just around 11:30AM, and it’s not quite lunchtime yet. It seems a lot of people were goin’ on an early lunch, maybe to avoid waiting. Upon browsing their menu, I immediately confirmed what my friend told me, the prices were steep. 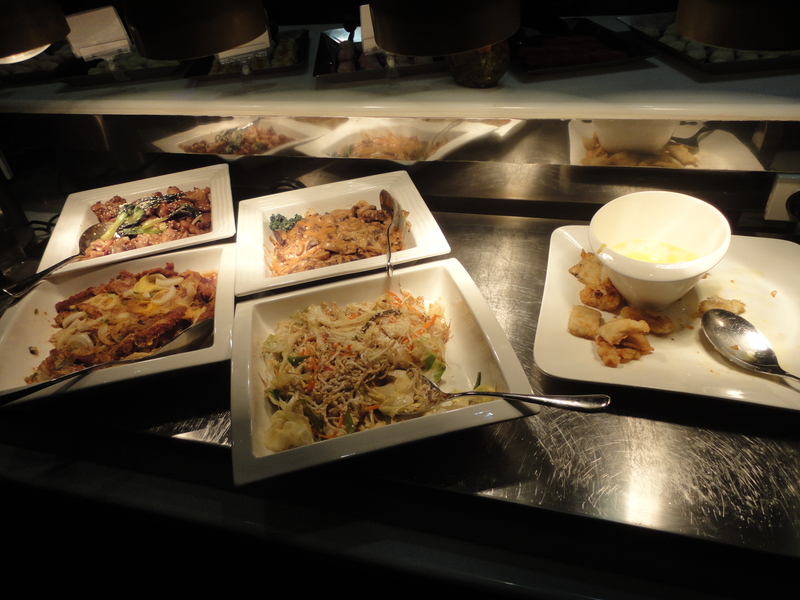 It took us a while to choose what we wanted since they had a lot of items on the menu and everything seemed good. 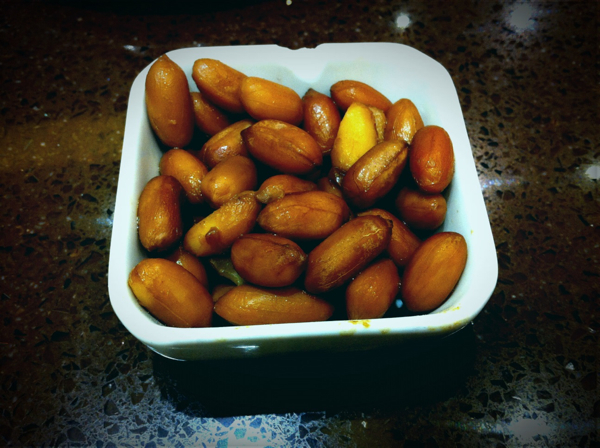 After we placed our order, we were given peanuts for appetizer, which were really good that A had to ask for a second serving. We decided to order a bowl each of Singapore Laksa. I said we should just share but he anticipated that he would not be satisfied if we shared just one bowl. 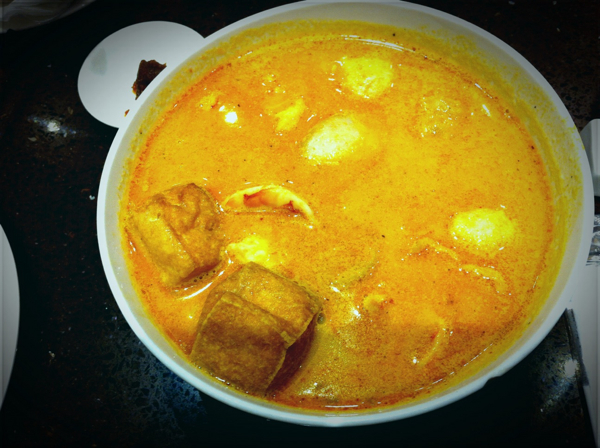 Their Laksa tasted amazing. The soup was just the right thickness. And it was real hot without overwhelming your sense of taste. It had a lot of toppings too. But I thought it had too few noodles in it. We were sweating and had runny nose after finishing this dish. 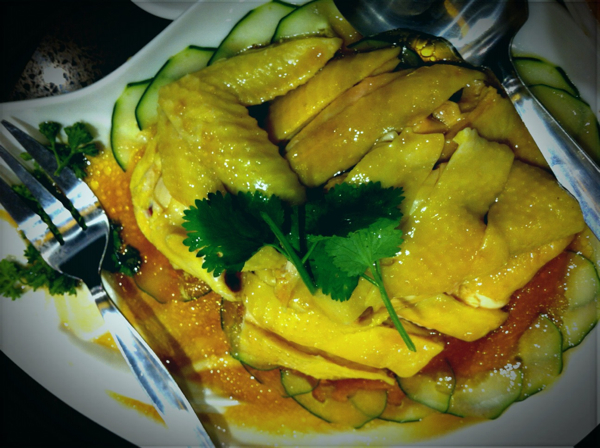 I was already a little full from the Laksa but we still had a half order of the Hainanese Chicken. I have tasted a lot of versions of this Hainanese Chicken from various places and I can say that this one’s really one of the best (Wee Nam Kee‘s version is good too). The meat was really tasty even without the sauces. Just seeing the yellow color of the chicken was already appetizing. The sauces though, I was disappointed with. I thought that the ginger sauce was lacking in ginger. It seemed that the spring onions overwhelmed it so the ginger taste was a little toned down. I’ve had better. The supposed chili sauce was not spicy at all. It was even a bit sour. 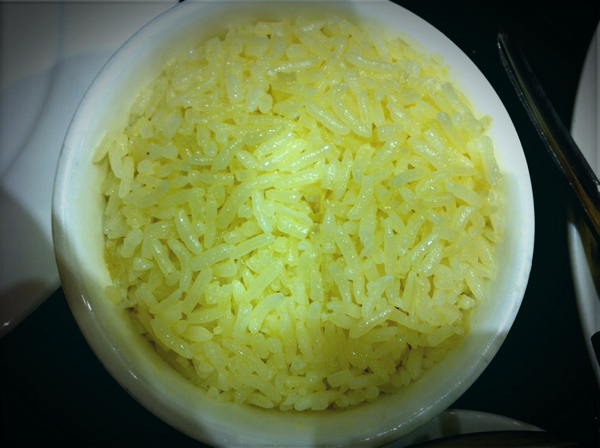 The Hainanese Rice, I must say, it’s unparalleled. It’s the real thing. Authentic at its finest. You can really taste the chicken broth it was cooked with. My stomach was close to bursting after finishing all that. 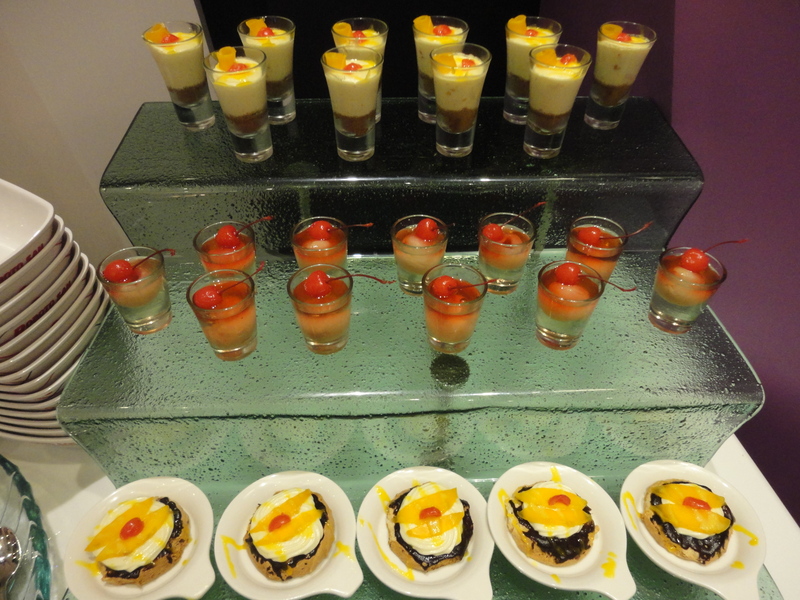 But since they offer complimentary desserts to all diners, who can say no to that? 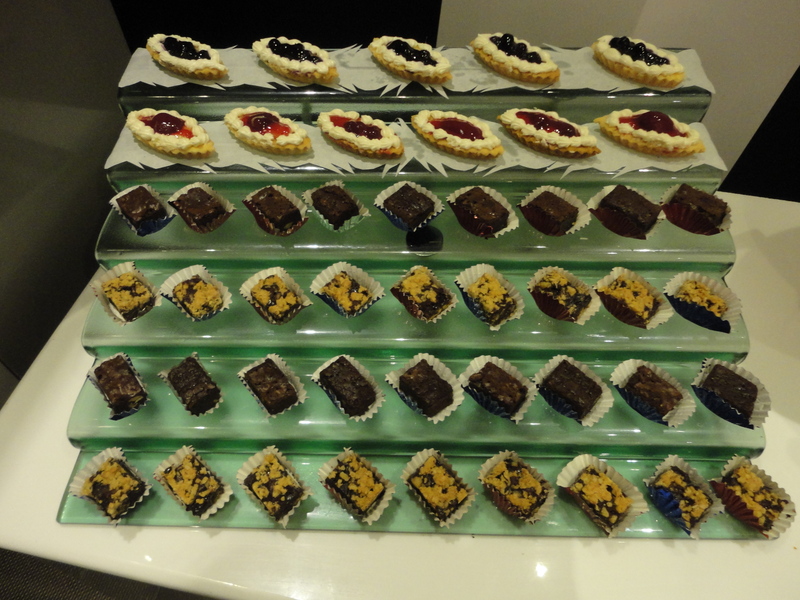 And you gotta admit, there’s always room for dessert no matter how full you say you are. 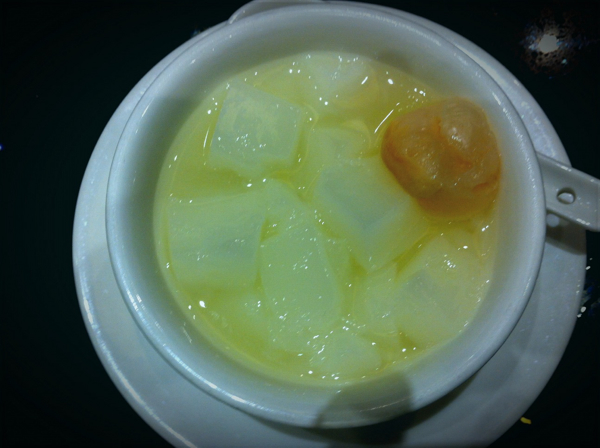 They gave us lychee flavored jelly with a piece of lychee fruit. I would have wanted a stronger lychee taste but who am I to complain, it was free. I can say that the food at Tao Yuan lived up to the expensive prices attached to them. 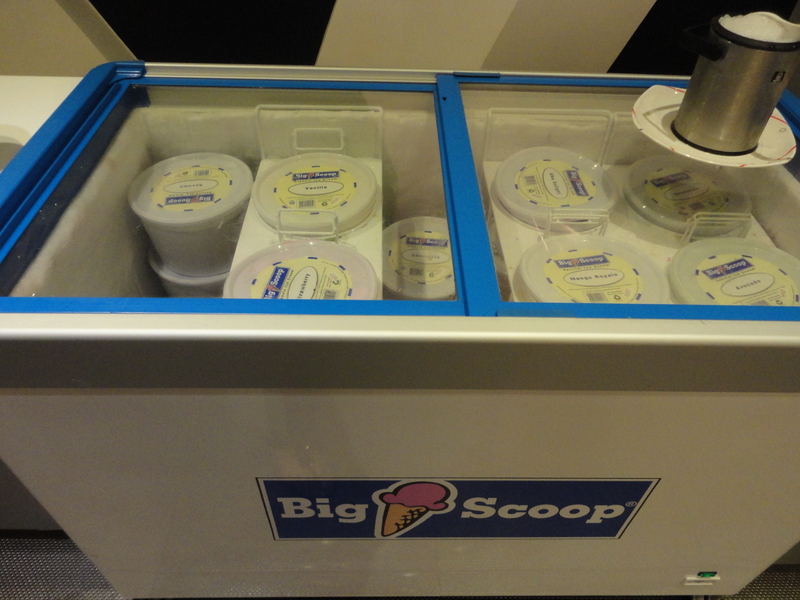 We would definitely go back to sample the other items they offer. Their space at Greenbelt is a little too small though. It was cramped. Even the servers need to constantly excuse themselves and wait for another person to pass just so they could move around. But another thing I loved is their service. The crew were really attentive, they would refill your tea, or water even without you asking. They also gather your used tissue so your table’s free of unnecessary clutter. 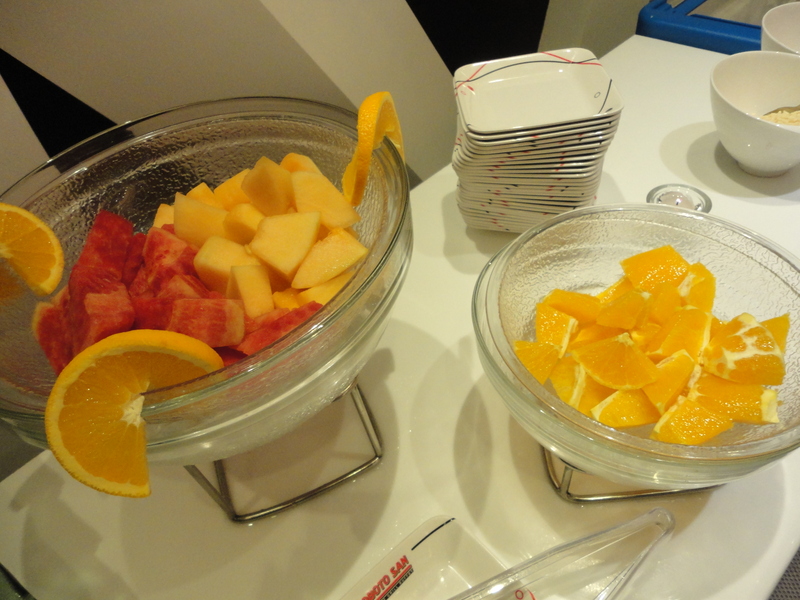 They even offer a change of plates, which works well for people who don’t like mixing their viands together. I hope they will be able to keep this up.